« We’re In! Bayou City Art Festival. Innovative and Elegant. Balanced Brand. When wearing a tank top I usually do one of two things: wear a strapless bra or wear a regular bra hoping the straps don’t peek out. Neither of these options is comfortable or attractive. 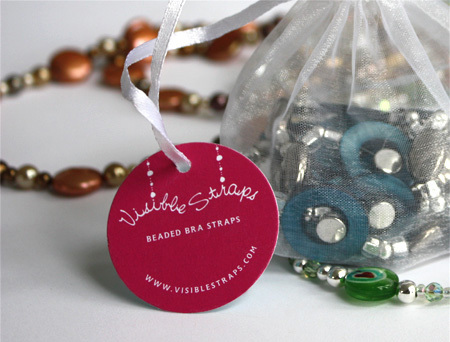 As we posted a few weeks ago, Visible Straps is an innovative product created by women for women. Instinctively we created a brand that is both elegant and feminine. 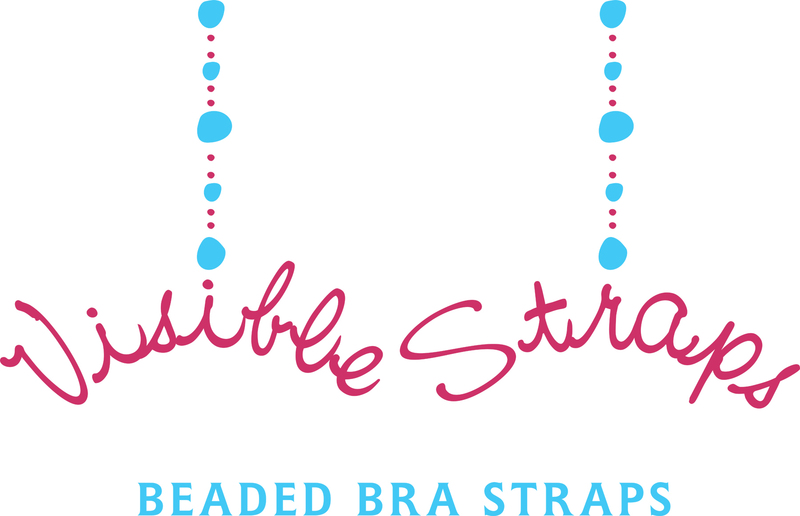 The logo is inspired by the simple shape of beads and how they relate to the bra strap. It’s composed of various organic circles that connect to the type on an arc to symbolize a woman’s bra. The turquoise and purple colors balance each other: warm and cool. A creative balance of innovation and elegance. 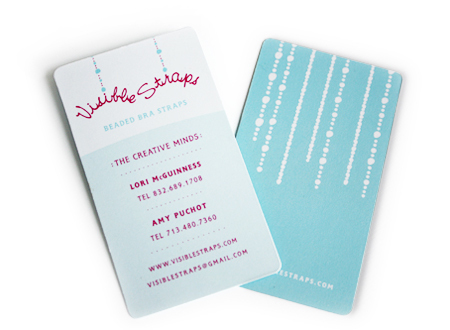 On the front of the business card, Prism adds another curve. The text subtly forms the shape of a woman’s body. All elements of this new brand visually describe the Visible Straps product and the creative minds behind them. This entry was posted on September 30, 2009 at 9:18 pm and is filed under Branding. You can follow any responses to this entry through the RSS 2.0 feed. You can leave a response, or trackback from your own site.